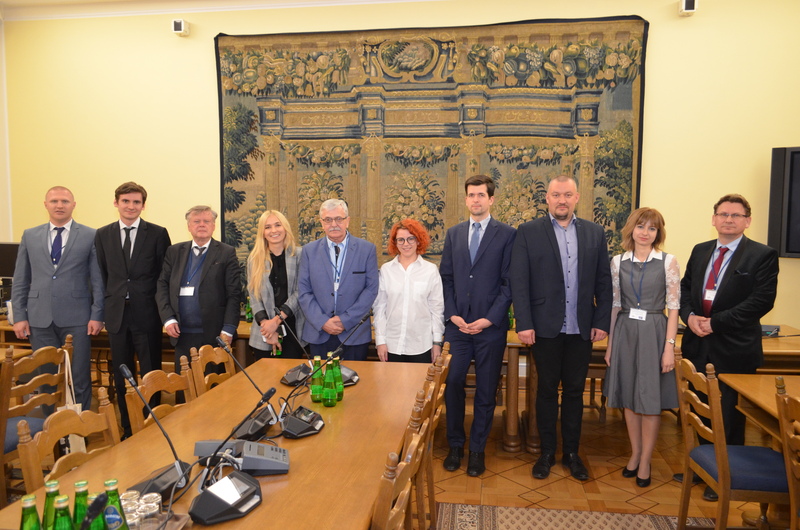 On April 23-24 in Warsaw took place another edition of the international conference on human rights. This year’ edition was entitled: “Universal and Regional Systems of Protection of Human Rights 70 Years after Proclamation of Universal Declaration of Human Rights”. As every year, Ziyad Raoof, the KRG Representative in Poland, reported his participation in the conference, this time he prepared the speech entitled: “The activities of the Iraqi authorities, army and paramilitary organizations in the last decade – violation of the Iraqi constitution with special regard to the rights of Kurds”. Due to the necessity to extend the visit to Kurdistan, on behalf of Ziyad Raoof at the conference his speech was read by Maciej Legutko – director of the KRG Office in Poland. Ziyad Raoof’ paper focused on the most blatant examples of violating Kurds’ rights in Iraq emphasizing that after independence referendum on September 2017 there was escalation of persecution. Describing the causes and circumstances of breaking the Kurds’ rights, Ziyad Raoof started from the beginnings of Iraq, through the next decades of the national-liberation struggle of the Kurds until the genocidal operation of Anfal. The KRG Representative wrote about the Kurds’ hoping for a fair and federal Iraq after jointly preparing and adopting the Constitution in 2005, guaranteeing broad rights to Kurds and Kurdistan. Hopes quickly faded during the reign of Prime Minister Maliki. The violations of the Kurds’ rights after the independence referendum were precisely described, such as the aggression of the army and the Shiite militia Hashd-Shaabi, the return to Arabization of the so-called disputed areas and closure of airports. Ziyad Raoof mentioned that the Kurds are not the only one group experiencing marginalization in Iraq and ended with the conclusion that the only chance for Iraq’s stability is to comply with the constitution, share power between all groups inhabiting the country and constantly seeking agreement. Ziyad Raoof’ essay will be published in April 2019 in a post-conference book.